Dark brown insect that has a powerful jump. They are parasites of animals and birds, sucking the blood using their mouthpart. Their bodies are flat so they can move through fur and feathers. 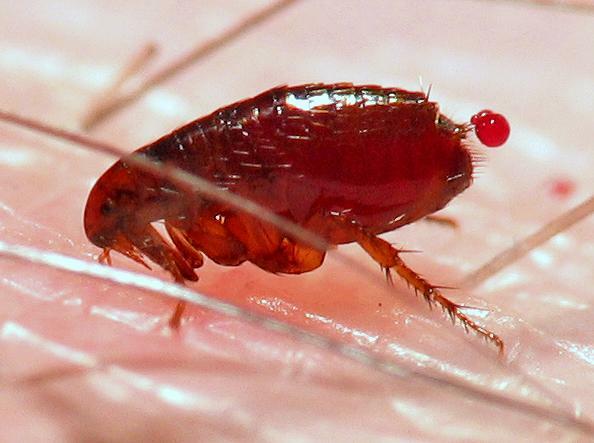 Fleas can accelerate 50 times faster than the Space Shuttle.